Google Buzz wrote about their privacy reset options yesterday via their Google Public Policy blog. Perhaps Google Buzz launched a bit prematurely. When Google Buzz hit the scene, the initial response from users was one of backlash and amazement; some people felt outright violated. 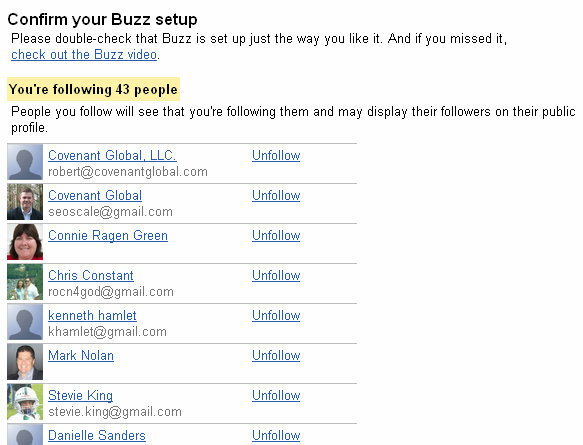 The Google Buzz settings automatically followed your most active contacts and those contacts automatically followed you back. However, this “auto following” created and uproar from users and Google went on a 7 day marathon of updates and changes to fix the issues. 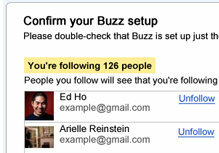 Yesterday, Google took the Google Buzz privacy issue one step further by allowing you to reset your settings. 3) You will now be looking at the new “reset” dashboard > Simply go through these settings line by line and make the necessary adjustments for your Google Buzz account.